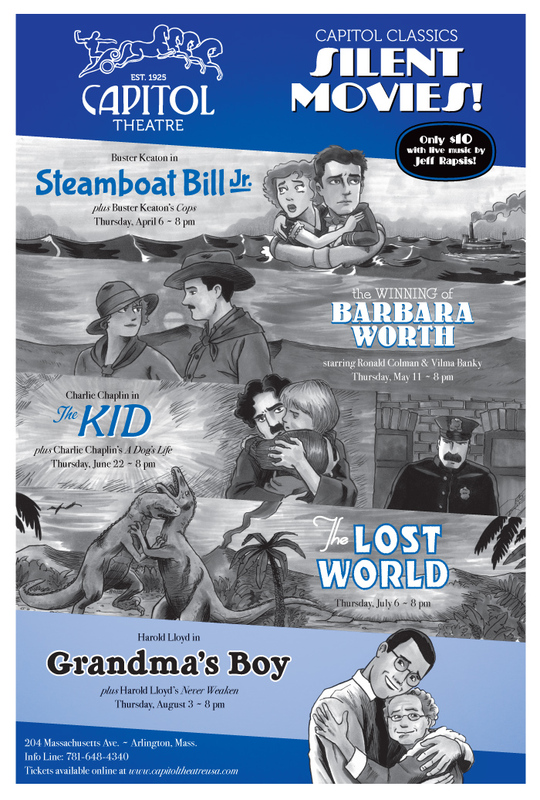 FEI Theatres commissioned these custom posters for the Somerville Theatre “Silents, Please!” and Capitol Theatre “Capitol Classics: Silent Movies” film series in spring 2017. 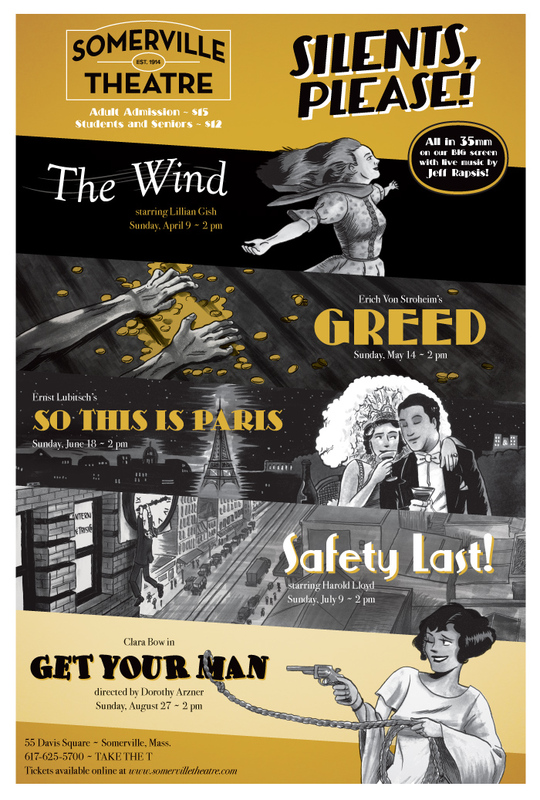 The posters were inspired by 1920s ads for movies from The Film Daily, Motion Picture News, and similar publications. Medium: Pen and ink, Copic markers, and digital (Adobe Illustrator).